NEW THIS YEAR! 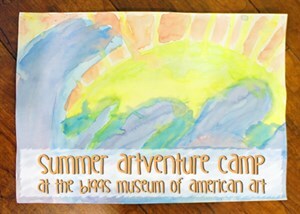 Tween age artists ages 10 to 12 can spend a week in July at an art camp designed to for older campers. This session will only be offered one week in July and will be led by museum staff in the Child HELP Foundation Gallery, Monday through Friday from 1 p.m. until 5 p.m. Tweens will develop their art observation skills to dive into more advanced projects.